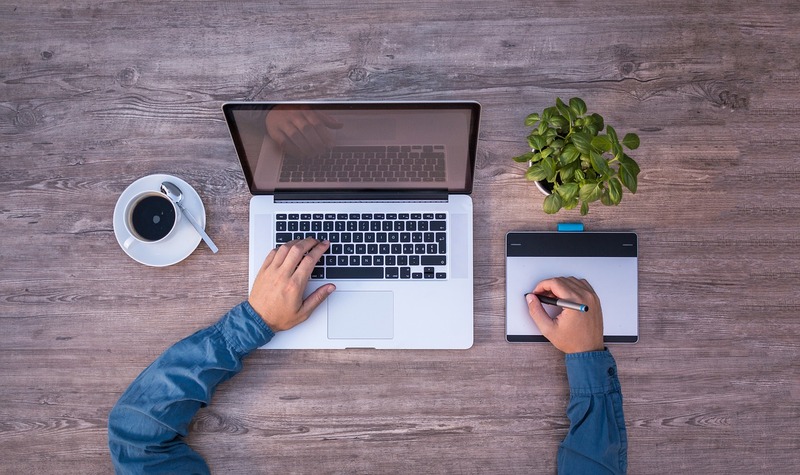 When it comes to blogging, everyone wants to be unique. 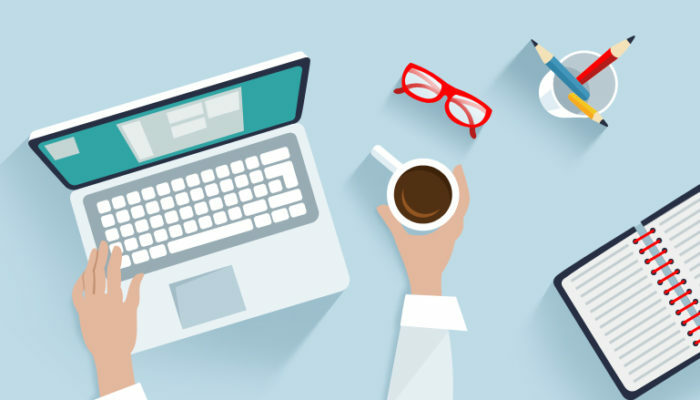 A blog can represent one’s own personal corner of the Internet in a way that a Facebook profile or a Twitter account cannot, and even a marketing website about things ranging from online deals to new music can benefit from a blog. It should go without saying that content is the most important part of a blog, but appearance can make more of a difference than people realize. A blog with a great template can catch the attention of random readers, just like a poor template can drive them away. One part of a blog that many people take for granted is the font of the text itself. Just about everyone has their favorites when it comes to different fonts, but there are also plenty of fonts that border on illegible. Choosing the right kind of font can add some personality to a blog post, and there are countless options out there. I’m not going to talk about which fonts are the “best;” like all cosmetic choices, that is a matter of opinion. Basically, any font that can be read clearly is a good one. What I am going to talk about is a few websites where you can find some interesting fonts for free. At FontM, you’ll find hundreds of quality free fonts for download. Fonts are sorted by category and you can preview each font. Fonts are available for both Windows and Mac. 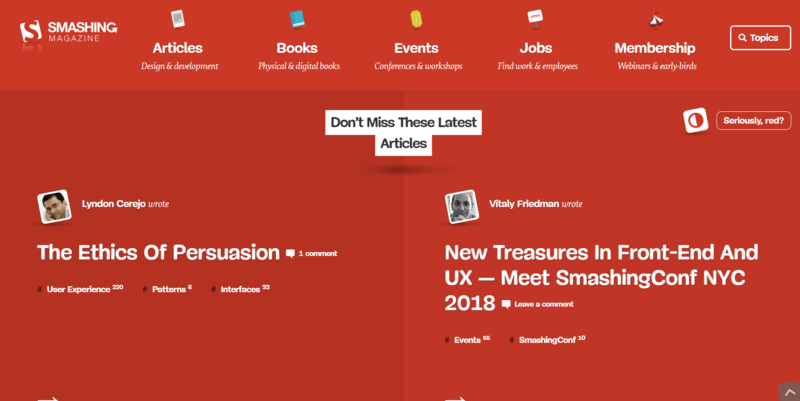 New fonts are added here regularly. This one really is a great site for anybody looking for free fonts. There are thousands of fonts already on the site, and new ones are being added all the time. Most of the fonts can be used for either Windows or Mac operating systems, and users can upload their own fonts if they wish. The site itself is clean and easy to navigate, so you should be able to find what you are looking for after just a little bit of searching. 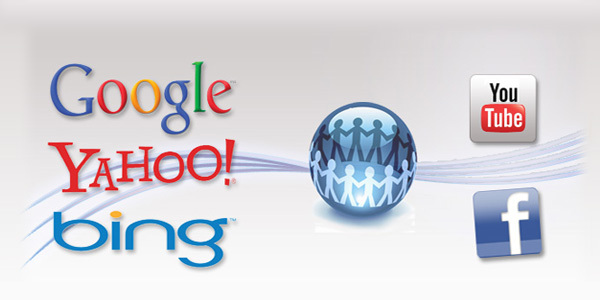 You may also visit many of the sites of the font authors themselves, giving you even more potential resources. 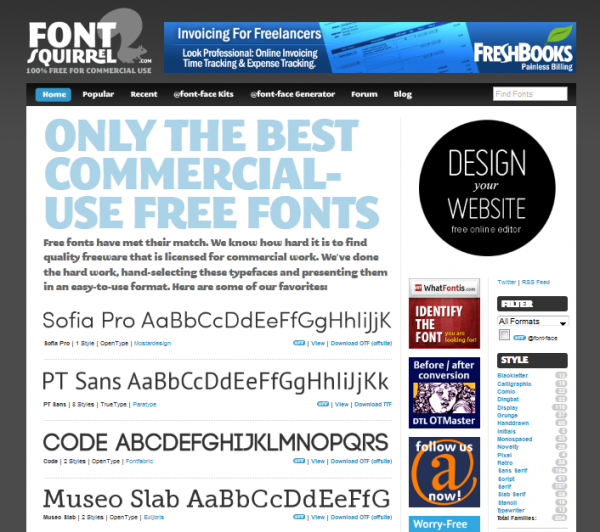 Fontsquirrel.com has a nice collection of free commercial-use fonts. The webmasters have done their homework for this site, handpicking the best fonts that are free for commercial use and presenting them in an user-friendly format. This is a great resource for just about any personal or commercial blogger. There may not be as much content as Dafont.com, but Fontsquirrel.com deserves points for delivering the cream of the font crop. 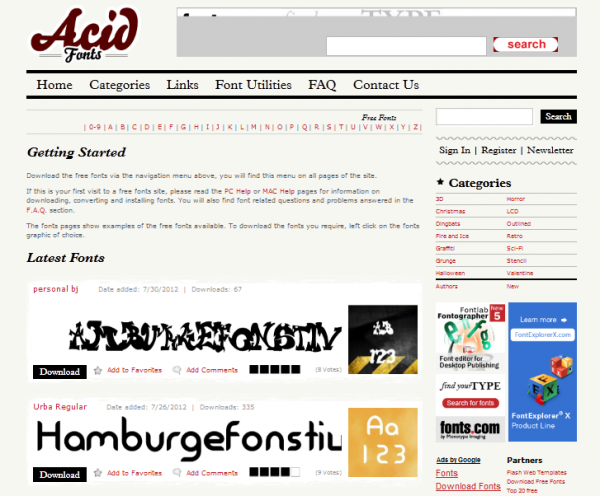 Acid Fonts is similar on concept and execution to Dafont.com, only with a cleaner interface. There is less content here, but the fact that everything is so well organized means that you should be able to find the font that works best for you in no time. There’s also a handy section on font utilities. 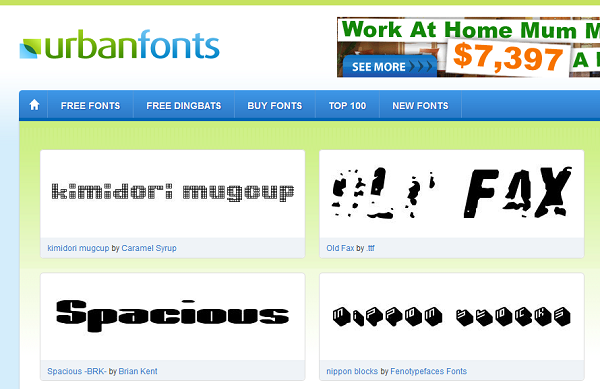 The font utilities aren’t free, but it’s a great resource nevertheless. 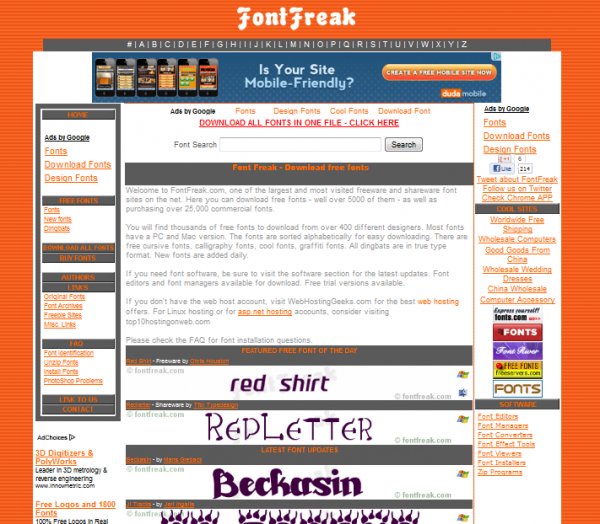 Font Freak is said to be “one of the largest and most visited” sites on the web for free and commercial fonts. 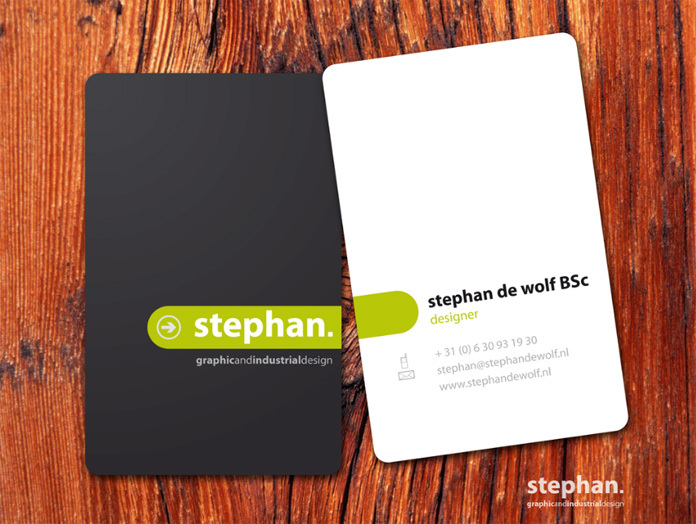 They have over 5,000 free fonts available as well as 25,000 commercial fonts for sale. The layout here isn’t as good as some of the other sites on this list, but Font Freak does include a tool allowing for the creation of new fonts, which is always a plus. Urban Fonts is a no-frills site offering several fonts for free and some others for sale. 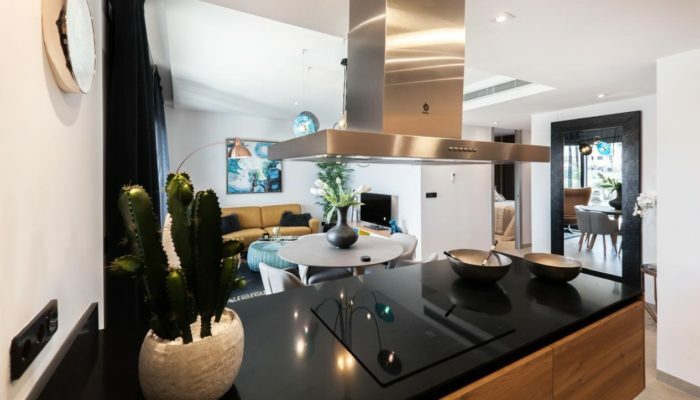 The simple layout is refreshing for those who adhere to the “less is more” philosophy of web design, and the site itself is easy to navigate. There’s nothing that makes this one stand out, but it will give you what you’re looking for. Thomas Finley is a gadget enthusisit that is always looking online for Staples, OfficeMax and Newegg deals to pick up the latest and greatest electronic toys.